Canadian Astronaut David Saint-Jacques will blast off from Russia aboard a Soyuz spacecraft Monday. Once aboard the International Space Station, one experiment he will be conducting was designed by researchers from Toronto's York University. It's hoped the results will help deliver medical care back here on Earth. It's fitting that one of the first experiments to be conducted by Canada's first astronaut in space since 2013 — will be a research project designed by a Canadian university. 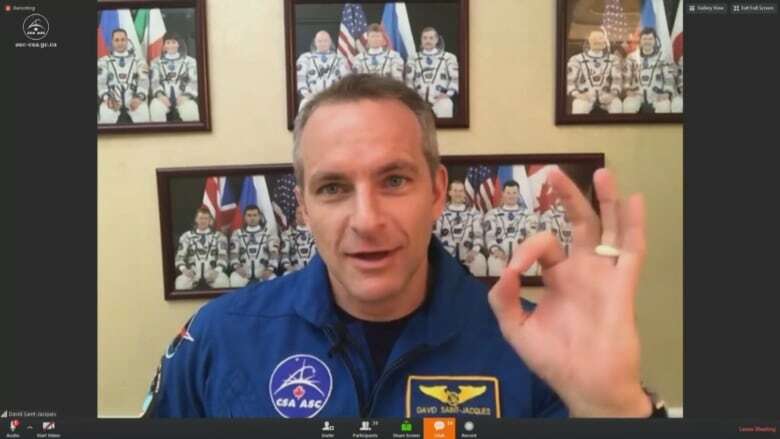 On Monday, David Saint-Jacques, 48, will blast off aboard a Soyuz spacecraft from Kazakhstan headed for the International Space Station. If all goes well, one of his first tasks during his six-month tour will involve conducting experiments on himself, as part of a research program designed by York University's Centre for Vision Science. 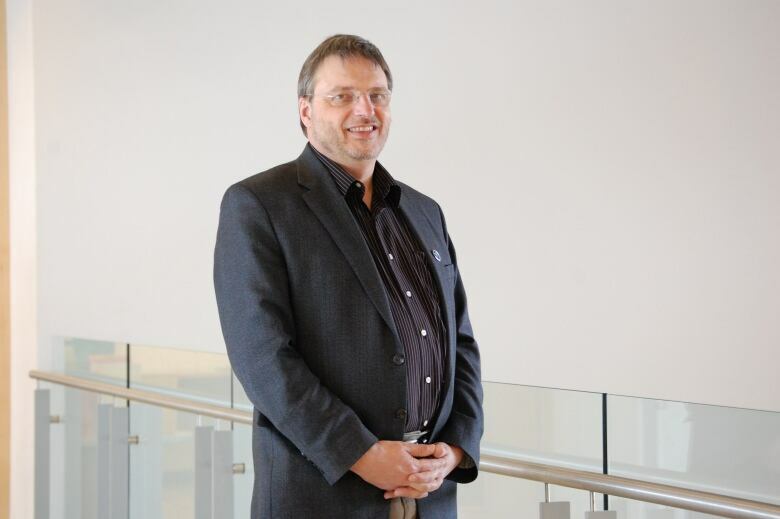 "We know so little about what happens to humans when they're exposed to micro gravity," says Professor Laurence Harris, a York psychology professor who heads the centre. "One thing we do know is that they get very disoriented and often feel quite sick." 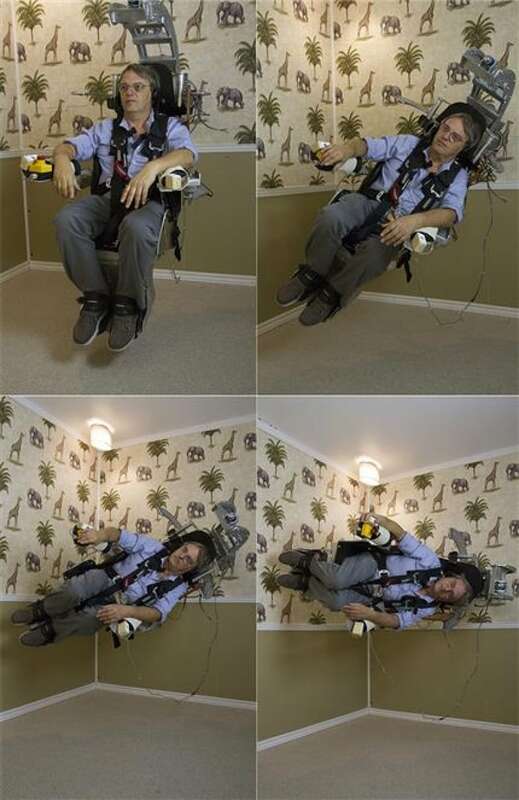 Harris and his team designed an experiment to test human responses to being in space, in particular the perception of a person's own motion while in micro gravity. But because space is limited on the ISS — Harris says his team had to design a virtual reality program to simulate the experience or sensation of moving, which is called "vection." Saint-Jacques has already strapped on the virtual reality headset to establish his baseline responses to the experiment here on Earth. "Our displays will be a little bit more boring than zooming around on a roller coaster or a jet plane. 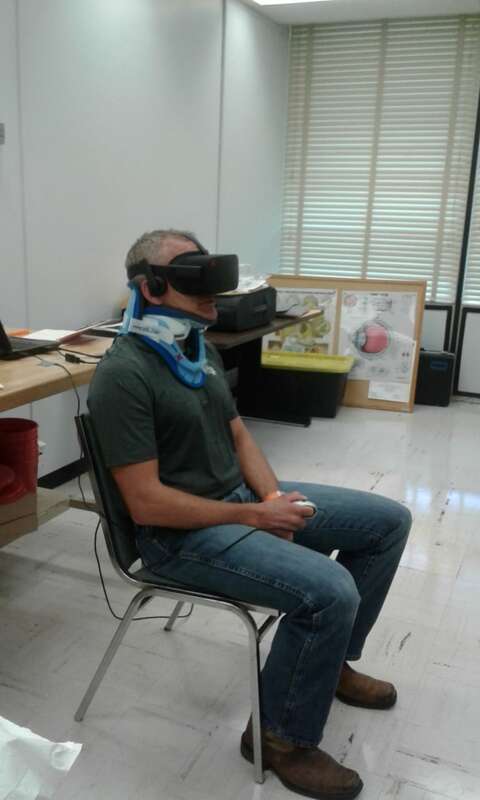 We're having a person simulate walking down a corridor," said Harris. "The astronaut will be then asked how far he thinks he's moved." Harris says the instruments have already been sent ahead from York to the ISS on a previous re-supply mission. Saint-Jacques will strap himself into a special harness, put on the VR headset and run the experiment when he first arrives, then a number of times during his stay, to see if there's any sort of adaptation. Then the test will be run again after he returns to earth to see how long the effects of micro gravity last. 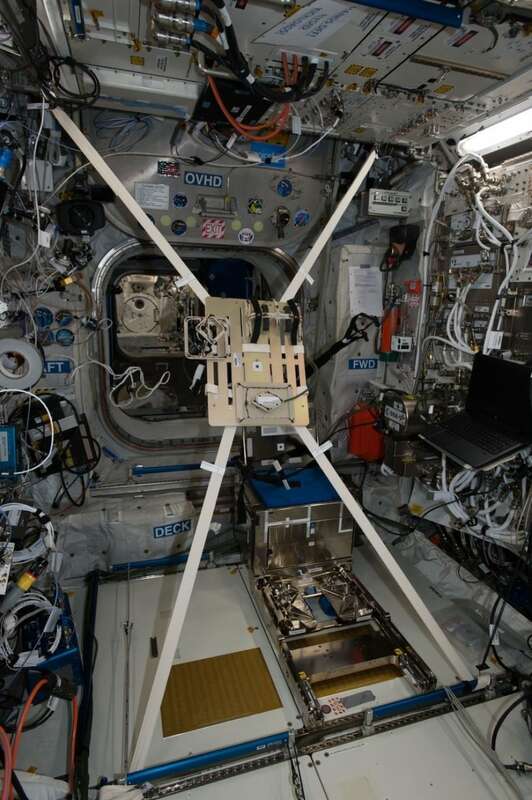 Harris says the aim is to develop a mathematical model to express how human self-motion perception is altered after a long duration in micro gravity and how long it takes to recover upon return to normal Earth conditions. It's one of many tasks Saint-Jacques — the first Canadian astronaut to visit the space station since Chris Hadfield's five-month mission ended in May, 2013 — will conduct. Along with his qualifications as an engineer, astronomer and astrophysicist, Saint-Jacques is also a medical doctor and says the effects of micro gravity on human physiology is one of his areas of interest and expertise. "That is one of the main purposes of the space station, is to come up with ways to improve the livability of humans in orbit, so that we can actually go further — the Moon and Mars and deeper," said Saint-Jacques in a media briefing on Thursday. "So yes, that's a big part of my personal interest to self monitor the symptoms and the effects and how we can mitigate that in terms of research." He says a lot of the medical research conducted on the space station falls into two broad categories. "One is about research on the effects of micro gravity in the space environment on the body. And that is more of a scientific type inquiry more practical," says Saint-Jacques. "It's how we can improve what we call telemedicine. That is the art of providing medical care when the patient is far away from the doctor." Along with advancing research into Parkinson's disease, stroke recovery and aging, the York space mission could improve how remote robots are used for surgery. "So that applies of course to astronauts on the way to a distant destination, but also applies here on Earth too for people that live in rural communities far away from the big centres," said Saint-Jacques. "And I used to work as a physician in a very remote Inuit village and I know from past experience that everything that is developed in space for remote medicine can be applied on Earth."